during the height of the 2011 La Nina episode. Yasi was one of three cyclones to spawn in a narrow corridor near the Pacific Island nation of Vanuatu. The waning ocean-atmosphere phenomenon La Nina of 2010-2011 has left its mark on the humanitarian community and the record books. 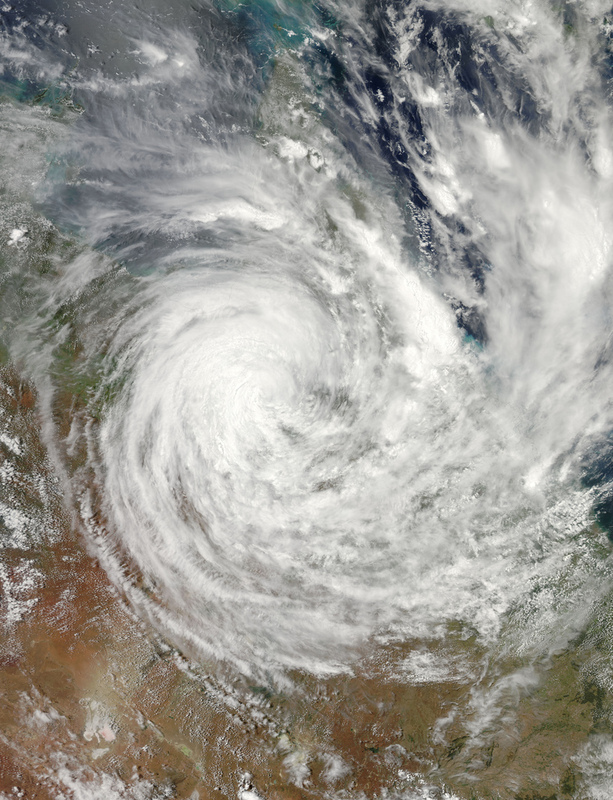 Some of the legacies being attributed to the reportedly strongest La Nina in 35 years include flooding in Australia that created an inland sea the size of France and Germany combined, deadly flooding and landslides in Brazil, super-heated waters around the Coral Sea that contributed to the landfall of a Category 5 cyclone on Australia, the third greatest number of named storms in the 2010 Atlantic Hurricane Season, and even a role in the recent viral tornado outbreak that has devastated the American South. More discreet is the role of La Nina in a less-known but still significant humanitarian crisis in the South Pacific nation of Vanuatu. During a peak in this winter's La Nina, when energy was flowing from the cool waters near Tahiti into the more tepid waters of Western Oceania and Australia, a corridor of tropical cyclone formation opened up. In a short period of time, Cyclones Vania (born January 5, 2011), Yasi (born January 26, 2011), and Atu (born February 3, 2011) all buzzed the southern islands of Vanuatu. The result has been a food shortage in the southern islands that have impacted some 35,000 residents, who, in turn, suffered significant losses to their subsistence, garden-based crop staples of taro, breadfruit, yams, and bananas.